Do you control your day, or does your day control you? Things like your out of control email inbox, growing to-do list and incoming notifications (from everywhere!) cause you to lose your ability to stay in control. I know that I personally sometimes feel like I’m on auto-pilot throughout the day, which causes me to feel anxious, overwhelmed and frustrated. The first step is developing an awareness of the problem. After that, you’re ready to take action and take control back. Anything less just isn’t ideal for your business. But by adopting some effective new habits, you’ll be able to take action and manage information overload in a way that will reduce stress and overwhelm and put you back in control of your day. Even better? You’ll find yourself feeling more joyful, creative and productive! 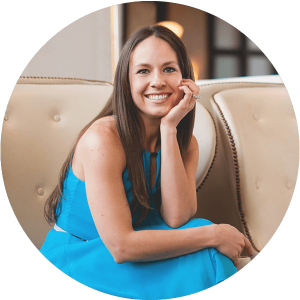 Oh, and for extra tips on reducing clutter and overwhelm, watch this! 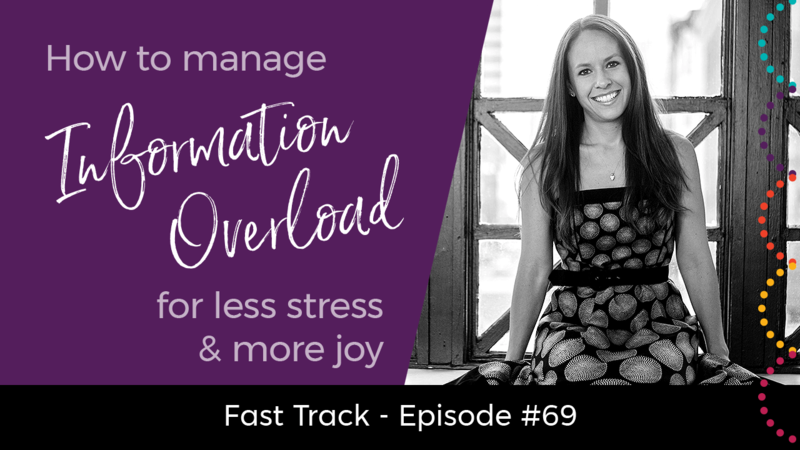 If you’re ready to manage information overload in a way that leads to less stress, more joy and increased productivity, this Fast Track video is for you! 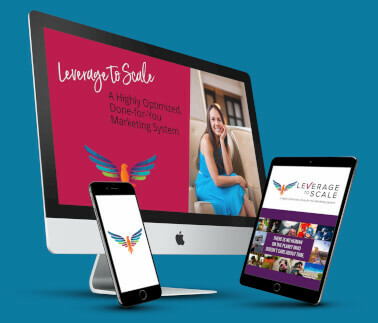 Share this post with others so they can get the inside scoop on managing information overload. Simply click the social media sharing buttons below to impact some lives now!! Amber, Amber, Amber, This is exactly what I needed today! I want to do so much and then I just go clean the floor instead! Exactly because I am so overwhelmed. This is helping me decide to clear my inbox today, unsubscribe to 5 bombarders (sp? ), go to the beach to get in the ocean and learn (read a self-help book I just bought) for 1 1/2 hour, be creative with a talk we need to give Dec. 2 for 1 hour, AND THEN see how I feel!! !